It’s hard to believe that it has been nearly nine months since we were in Rio de Janeiro. It seems like only yesterday we were drinking caipirinhas, swaying to sultry samba beats, and bouncing from one beautiful beach to the next. What’s even crazier though is that we have barely written anything about Rio on the blog in that time. Rio de Janeiro is probably our favorite city we have ever visited. We loved the perfect combination of abundant natural beauty and enticing city vibes – not to mention the people are some of the funniest, most authentic we’ve had the pleasure of meeting. In the upcoming weeks we will be sharing more about our time in Rio. But first, we thought we would give a visual recap as to why ‘The Marvelous City’ is in fact so marvelous. 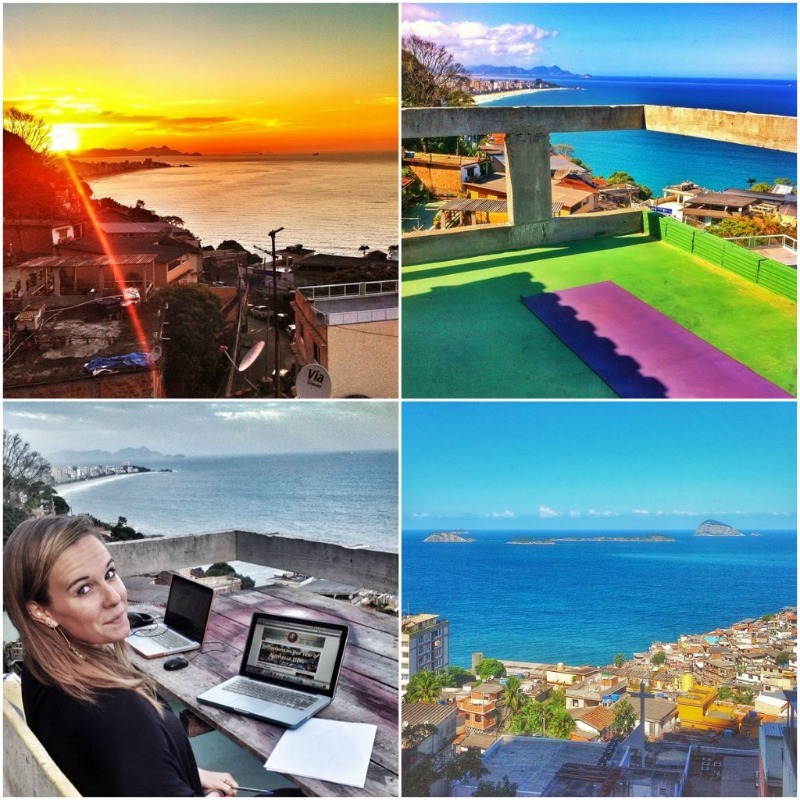 Clockwise from Top Left: Sunrise Over Vidigal, Yoga On Our Roof, Working Online Overlooking Ipanema, The View From Our Room. Vidigal is a pacified favela just past Ipanema. It used to be super dangerous, but now more tourists are starting to discover the neighborhood. We stayed in Vidigal for six weeks and never felt safer. The favela’s gentrification is a complicated issue though, one we’ll be talking more about next week. We’ll also be sharing tons of photos from live inside the favela, so stay tuned! 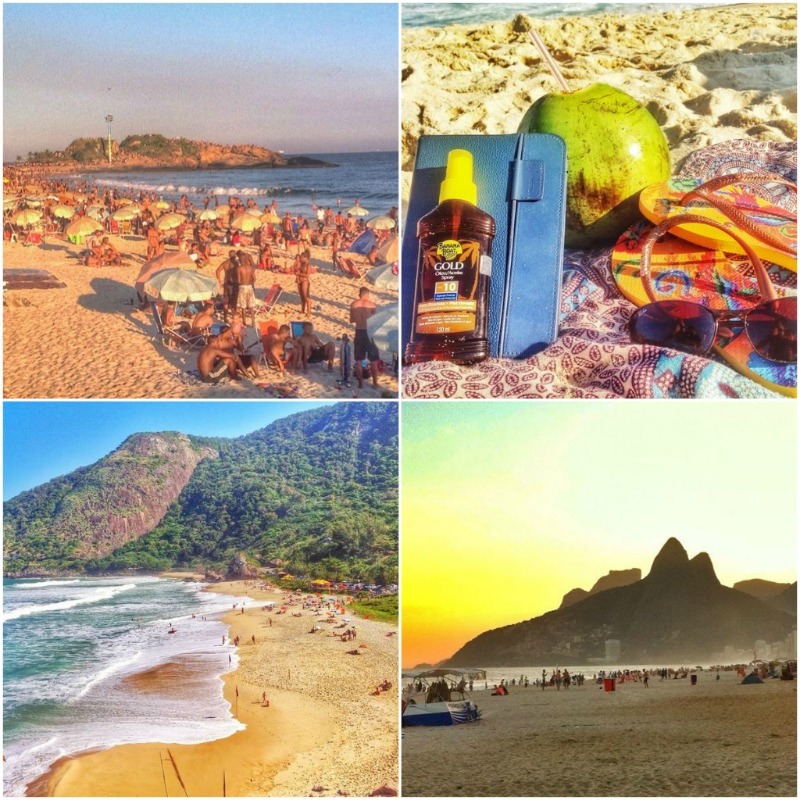 Clockwise from Top Left: Crowded Ipanema Beach, Relaxing With A Cold Coconut, Playa Prainha, Ipanema Looking Back At Two Brothers Mountain. You really can’t go wrong with any of the beaches in Rio. Ipanema was our beach of choice as it was within walking distance of our house. Other favorite options included Copacabana, Barra de Tijuca and Praia Vermelha. For a lesser known and slightly more secluded beach, Praihna was our favorite. Clockwise from Top Left: Tijuca Mountain, View Of Copacabana From Urca, Sugar Loaf Mountain, Christ The Redeemer Statue. We have yet to visit a city that has as many natural scenic views as Rio. Pick any one of the mountains for a bird’s eye view of the surrounding city landscape. Sugar Loaf Mountain and Christ the Redeemer are the two most iconic spots and certainly worth a visit. Tijuca National Park is home to the cities highest point. Two Brothers Mountain is our favorite view, hands down. You can see all of them in our post In Search Of The Best View In Rio De Janeiro. 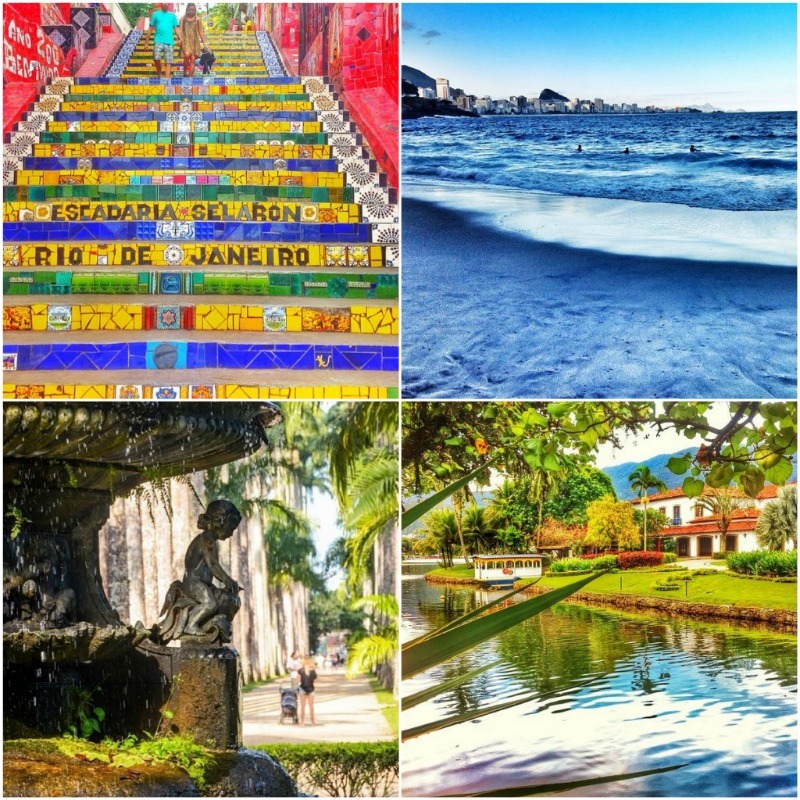 Clockwise from Top Left: Escadaria Selaron, Surfing at Playa Vidigal, Rodrigo de Freitas Lagoon, Botanic Garden and Alley of Palms. Though the city is actually quite spread out, the amount of public spaces and greenery make it an enjoyable journey. Tijuca is claimed to be the world’s largest urban forest. The botanic Garden in Rio is the perfect place for an afternoon stroll through the Alley of Palms. If you’re lucky you may even spot a group of monkeys passing through. The Escadaria Selaron is another must-see in Rio which consists of carefully and colorfully decorated steps that lead up to the neighborhood of Santa Teresa. Clockwise from Top Left: Ready For A Night On The Town, Rock Climbing Gym, Volunteers Handing Out Impenetrable Soccer Balls, The Rio Scenarium. From dancing the night away to rock climbing to surfing to cycling to volunteering with the local after-school soccer program, there is no shortage of things to do in Rio. Clockwise from Top Left: Eating Acai, Street Vendor, Various Alchoholic Beverages, Fresh Salad. I’m pretty sure my mouth has a permanent purple hue after all of the acai we had during our stay in Rio. The variety of food in Rio de Janeiro is world class. 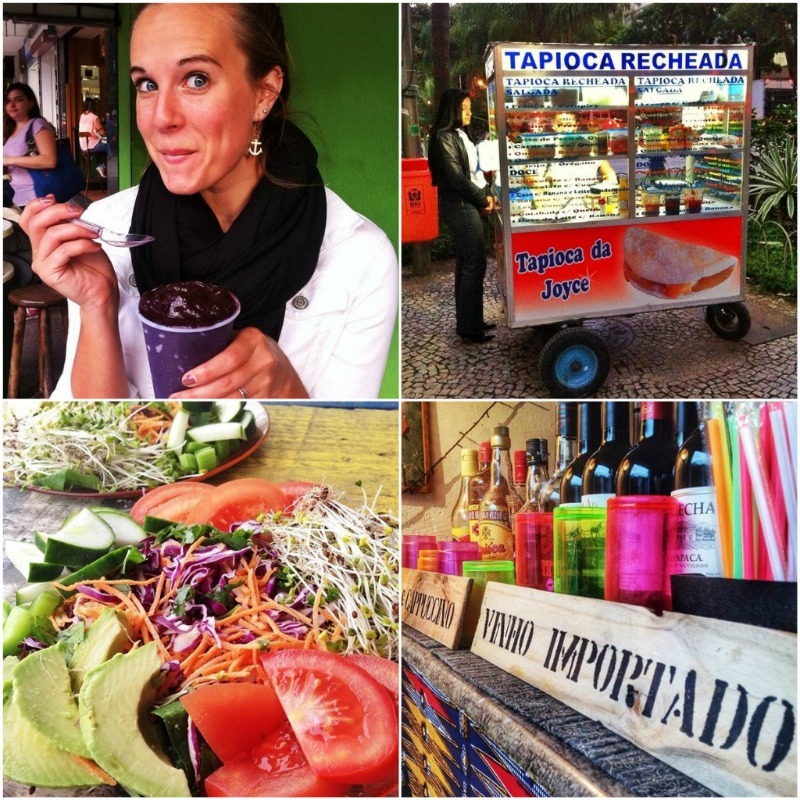 We were able to find everything from street side tapioca pancakes to colorful salads to stylish sushi restaurants. We are so excited to be diving into one of our favorite destinations in the world over the upcoming weeks. But if you just can’t wait for more, then check out our 48 Hour Guide to Rio de Janeiro we wrote for Travel Mindset. Have you been to Rio de Janeiro? Anything in particular you want to learn about in our upcoming posts? Be sure to share in the comments below! Wow, beautiful pictures! 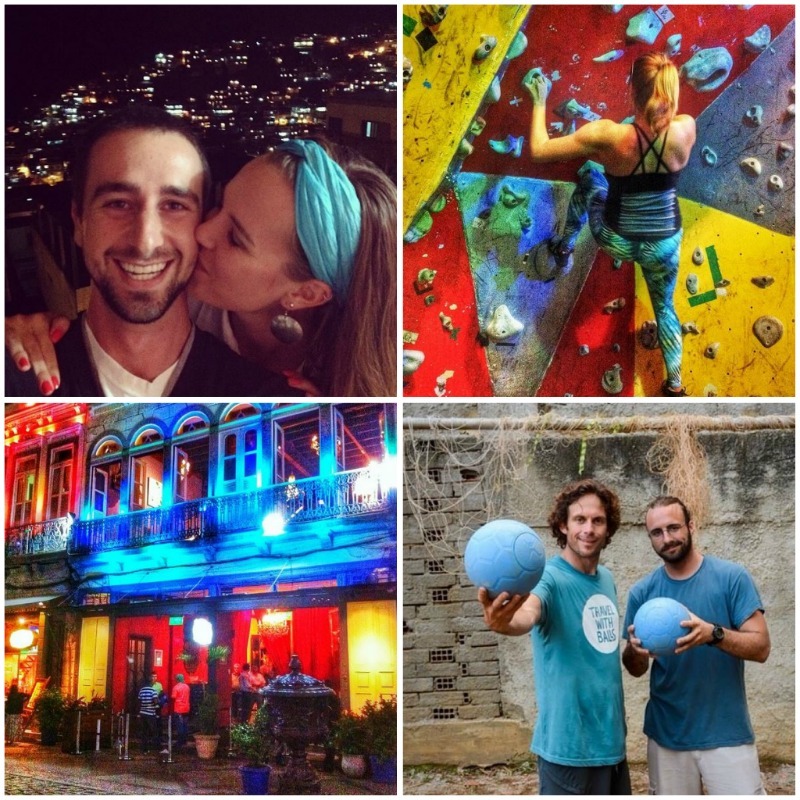 My husband and I spent 10 months in South America, but never made it to Brazil. This is making me think that was a mistake! 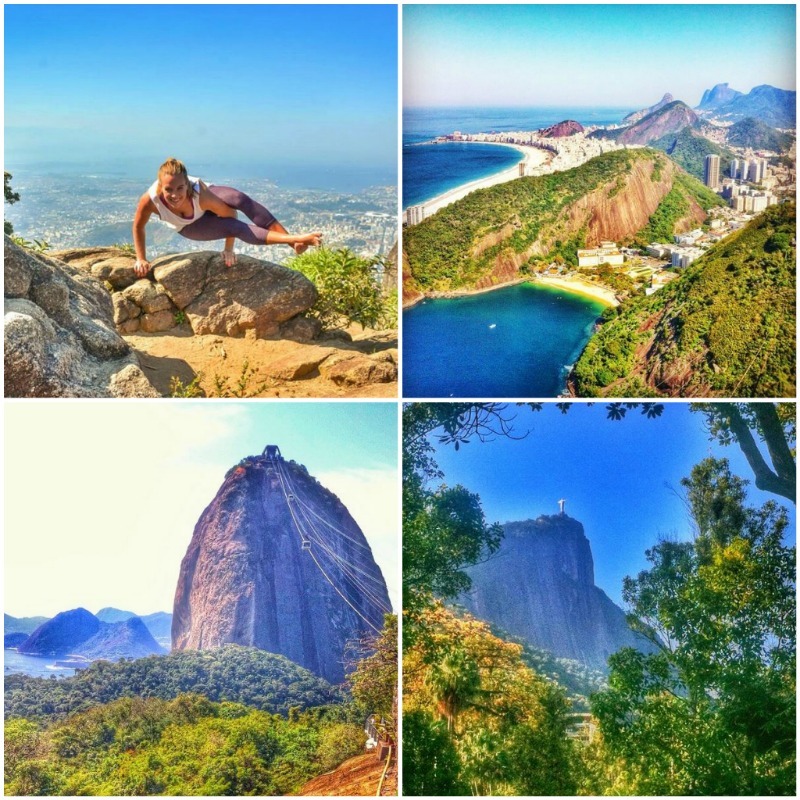 I’m really impressed (and also a little scared) by your yoga pose at Tijuca mountain, Casey, by the way! Awesome pics! You’ve definitely got my mouth watering for a trip to Rio! Thanks for sharing, fantastic place and full of fun. Thanks for sharing, lovely place and adventure. The Selaron Stairs are so splendid! Must visit Rio one day! Which gym has rock climbing? The strong point of Rio is really the magnificent views in my opinion. Escadaria Selaron is such an inspiration too!